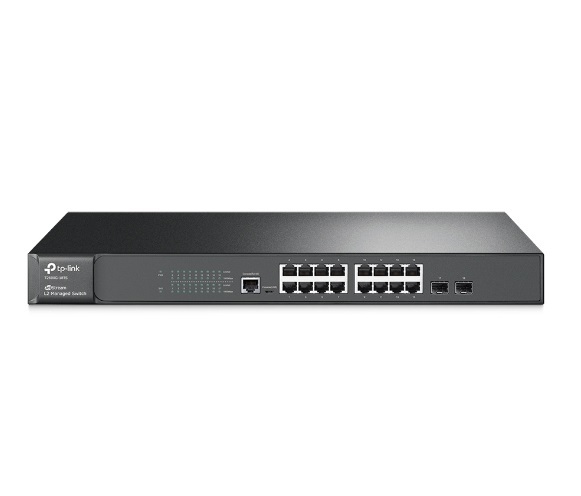 TP-Link JetStream Gigabit L2 managed switch T2600G-18TS provides 16 10/100/1000Mbps ports and 2 Gigabit SFP Slots. The switch provides high performance, powerful L2 and L2+ features like static routing, enterprise-level QoS and other advanced security strategies. The IP-MAC-Port Binding and Access Control List (ACL) functions protect against broadcast storm, ARP and Denial-of-Service (DoS) attacks, etc. Quality of Service (QoS, L2 to L4) provides enhanced traffic management capabilities to move your data smoother and faster. Moreover, the easy-to-use web management interfaces, along with CLI, SNMP, RMON and Dual Image mean faster setup and configuration with less downtime. 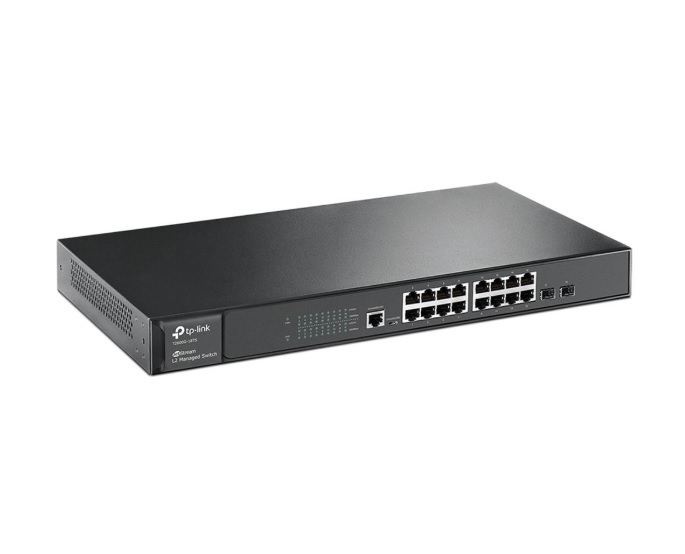 For workgroup and departments requiring cost-sensitive L2 Switch and gigabit capability, TP-Link JetStream 16-Port Gigabit L2 managed Switch T2600G-18TS provides you the ideal network solution.